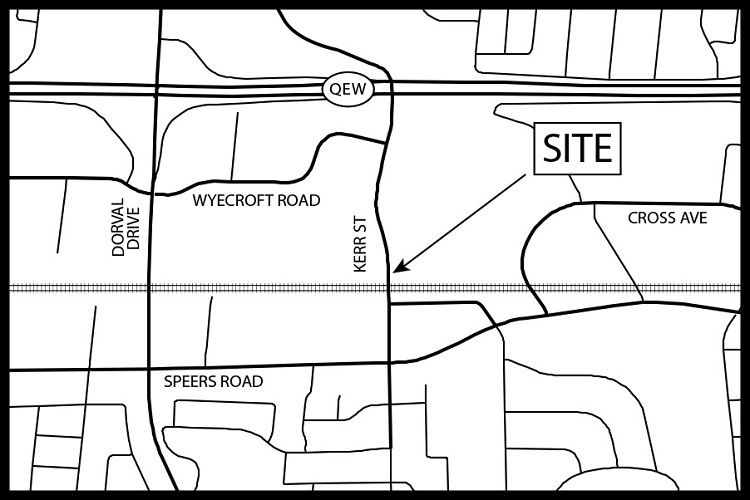 Metrolinx is moving ahead to build a road under rail underpass that will widen and lower Kerr Street below the rail corridor between Speers Road and north of QEW. This will support the increase in GO service for 2025 which will deliver electrified 15-minute service to the Town of Oakville. Metrolinx and the Town of Oakville are working together to build the Kerr Street underpass as soon as possible. By working together, the Kerr Street underpass can be completed faster than if the Town of Oakville built it alone. It will improve traffic flow not only on Kerr Street but throughout the Town of Oakville. The Town of Oakville completed the Environmental Assessment study in 2009 and Metrolinx has now taken the lead to build the Kerr Street underpass. In December 2017, Metrolinx issued a Request for Qualification (RFQ) to build the Kerr Street underpass along with other infrastructure required to expand GO service on the Lakeshore West line. The Town of Oakville will also develop a streetscape standards strategy for future consideration. The community will be involved in this process. Please visit the Town of Oakville’s website for more information. On April 26, 2018, Metrolinx and Infrastructure Ontario issued a Request for Proposals (RFP) to build the Kerr Street underpass along with other infrastructure required to expand GO service on the Lakeshore West line. The winning bidder will be selected in early 2019 and will be responsible for the detailed design, planning, staging and construction of the Kerr Street underpass. The next public meeting will take place in late 2018 / early 2019. Preliminary work on the project will start in 2019 with construction of the underpass starting as early as the spring of 2020. That work will take up to three years to complete. The current road alignment will remain in place during construction while we build the new road to the west. If you have any questions or to sign up for our e-newsletter, please email us at Kerr@metrolinx.com.